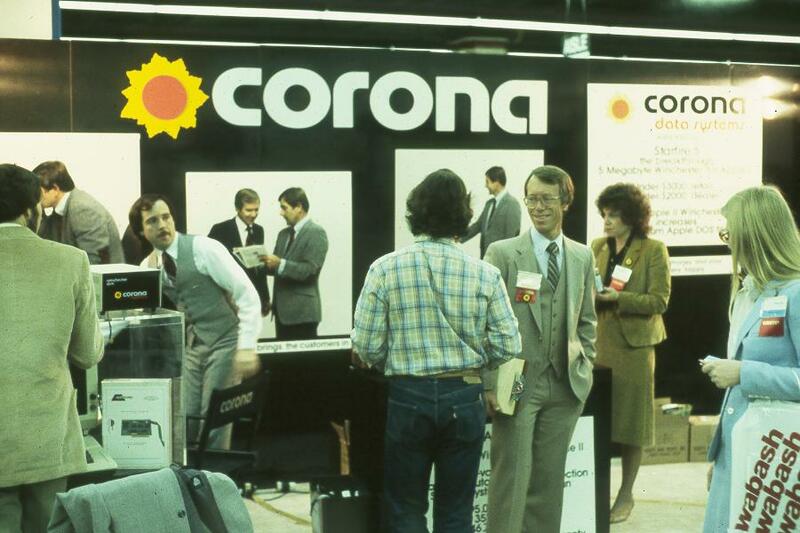 The photos were taken by Jim Willing and are hosted at Jason Scott’s Flickr. 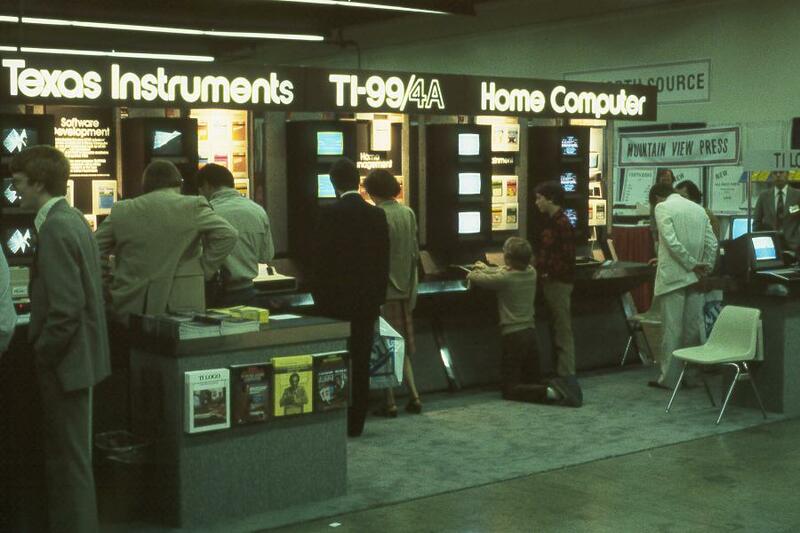 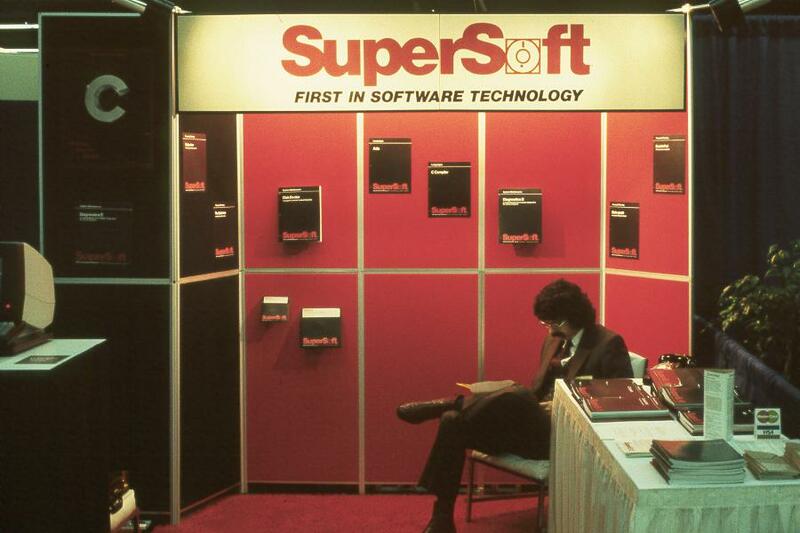 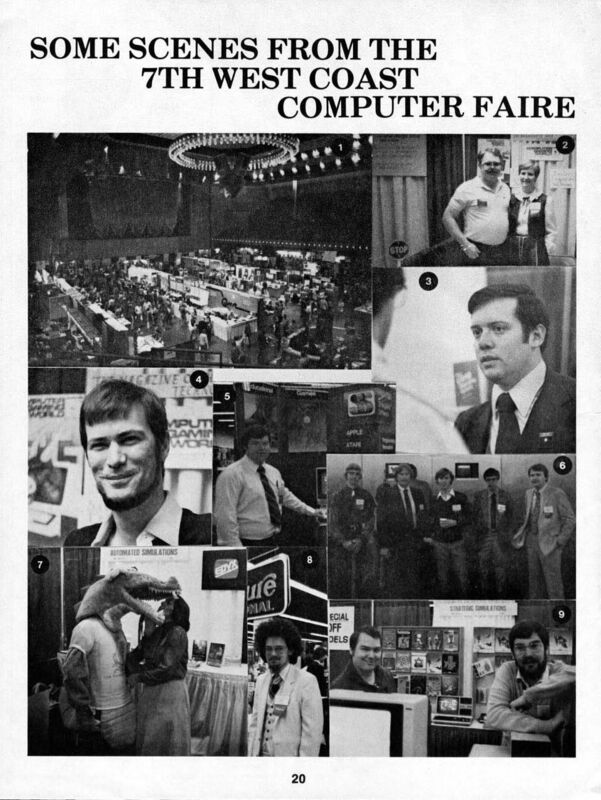 The first West Coast Computer Faire was held on April 16 and 17, 1977 in San Francisco (Jobs and Wozniak introduced the Apple II there). 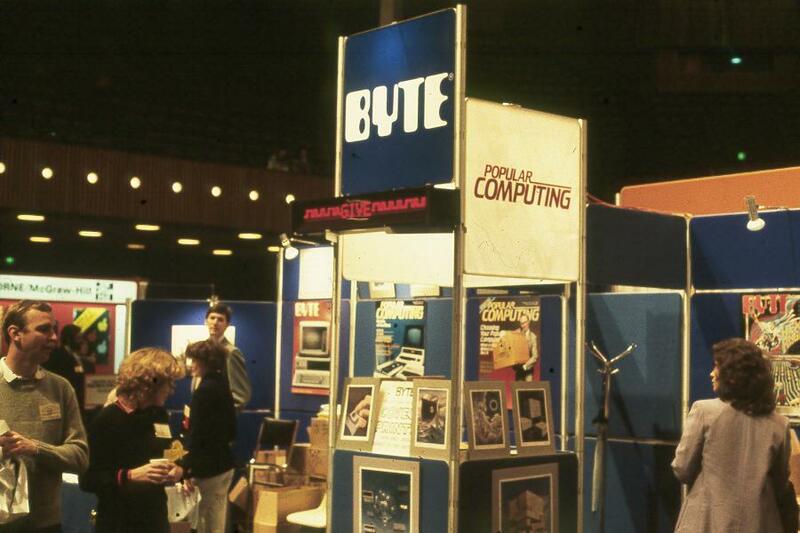 The 7th Faire ran from March 19-21, 1982, also in San Francisco. 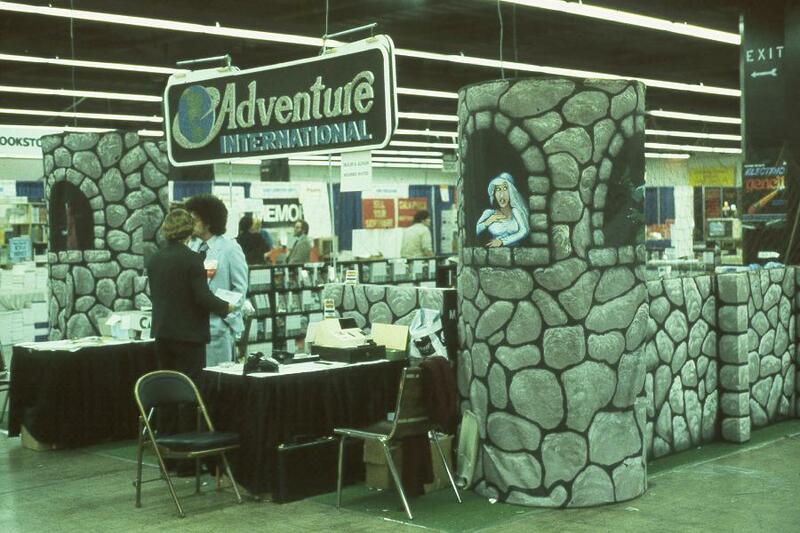 The last photo above shows the Adventure International booth and Scott Adams (powder blue suit). 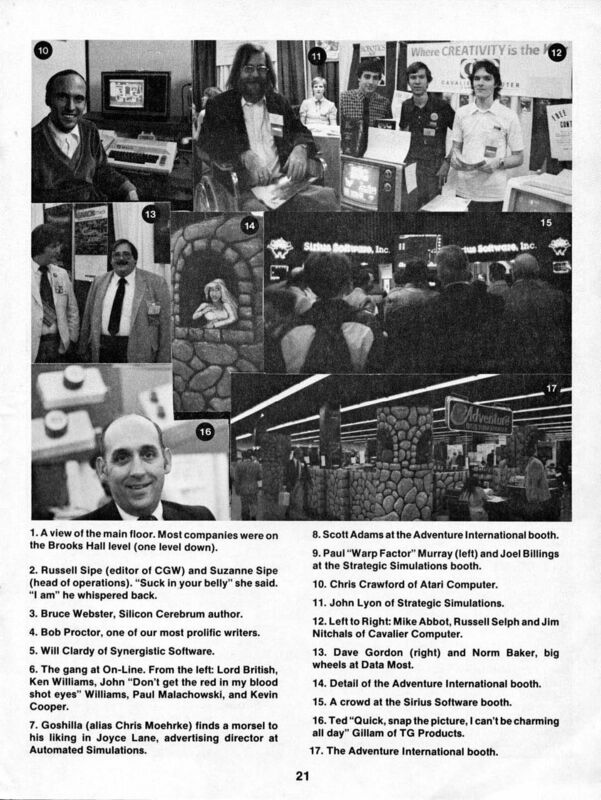 I also found a two-page spread from Computer Gaming World #4 (June, 1982) featuring more photos, including another shot of Adams and the AI booth, as well as Atari’s Chris Crawford, who’s playing Scram, a game he designed, on an Atari 800. 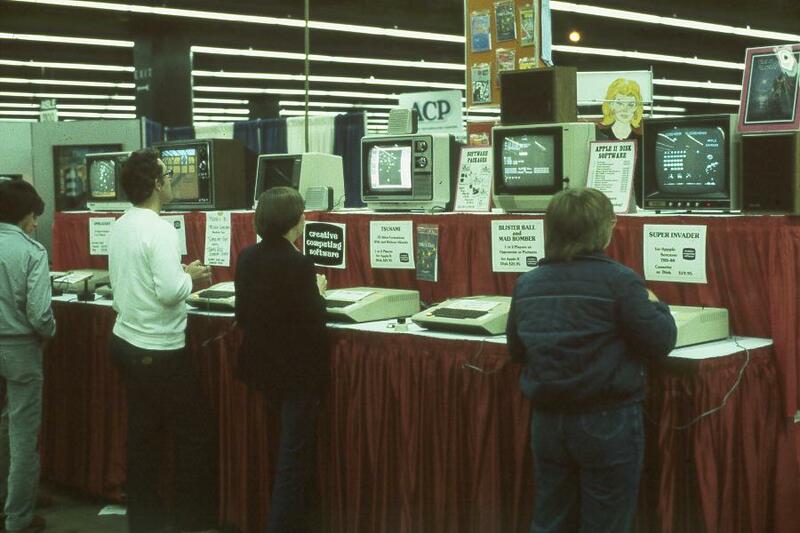 Man, Adventure International was all over that.